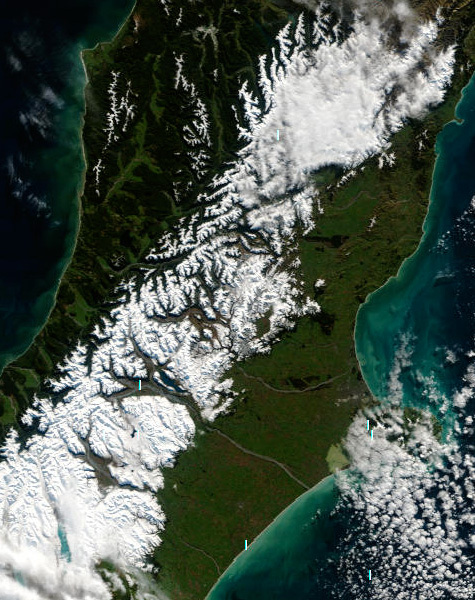 MetService weather forecasters naturally spend a lot of time looking at satellite imagery and every so often are treated to some fascinating cloud patterns in the airflows around New Zealand. One pattern I've always liked seeing is the Kármán Vortex street, most frequently observed near our shores to the west of the North Island, generated by Mt Taranaki in a south to southeast flow. MetService forecaster James Lunny (second from right) manning our trade display at last week’s National Fieldays. 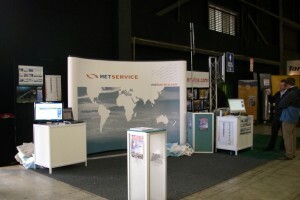 MetService has been attending Fieldays for the past 15 years, and this year our display proved as popular as ever, attracting several thousand people. A call for a new name for a variety of cloud. In my previous blog post I wrote about how much the winds high in the sky differ from the winds that we are accustomed to nearer sea level. The winds aloft are usually much stronger than those near the earth's surface, this difference being especially true in New Zealand. Another difference (which I mentioned in the last blog post) is that the wind we experience every day is more variable, suggesting that the wind aloft is more unchanging. Today’s weather map shows how this cold southerly is being produced by a combination of a HIGH or anticyclone in the Tasman Sea, and a LOW or depression between Canterbury and the Chatham Islands. For want of a better phrase, we could call this an eggbeater southerly. I work as a public forecaster and my main tasks include writing regional, urban and mountain forecasts. I either work mornings (which start at 5:50AM and finish mid afternoon), or afternoons (which commence mid afternoon and run until 10:45PM). The arrival of colder southerlies over the past few days has made many of us move into our winter mode ... turning up the home heating, putting an extra blanket on the bed, etc. 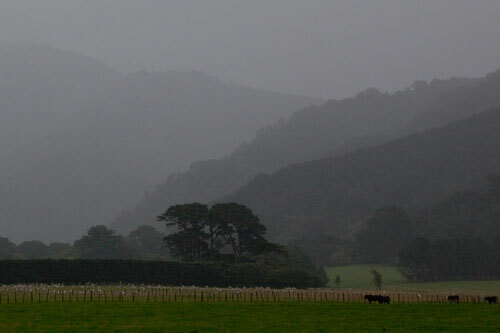 It has certainly put an end to the golden weather that Waikato, Bay of Plenty, Gisborne and Hawke's Bay have been experiencing.